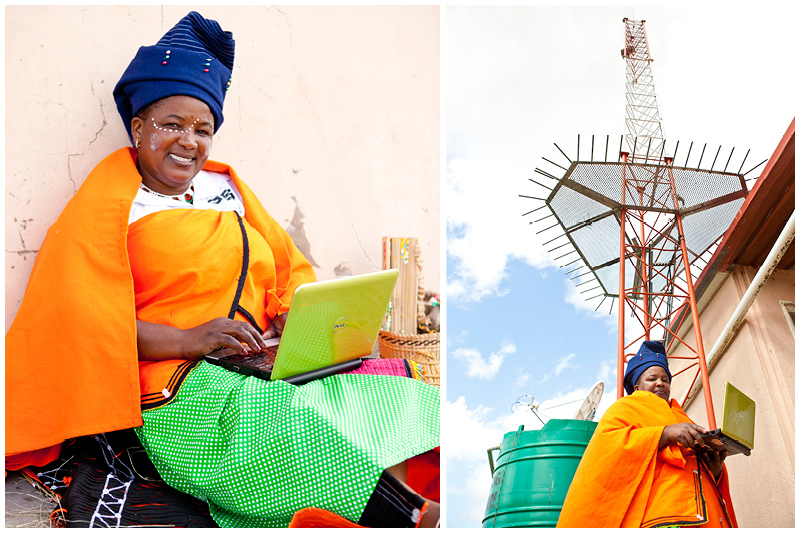 The SiyaKhula Living Lab is an initiative to connect rural communities to the rest of South Africa and the world, both socially and economically through the power of the internet. I got involved with the SiyaKhula Living Lab while I was documenting the Rhodes University Community Engagement projects. Rhodes and Fort Hare Universities have been active in ICT for Development for many years, through the two Telkom Centres of Excellence in Telecommunication hosted in their Computer Science departments and in 2006, this activity gave rise to a field test site, in the Mbashe municipality in the vicinity of the Dwesa-Cwebe Nature Reserve, in the rural Eastern Cape Province. Here are some photos to set the scene.. The lab empowers local entrepreneurs, community members and school children. The facility includes computers, internet access and training.